It’s been a while since I posted one of these updates. 🙂 Here’s a bit of what we’ve been up to lately. 1. Fiona has been doing lots of writing and copy work. She loves writing and fills up page after page of dollar store handwriting and spelling workbooks. 2. Rhia is learning to play the electric guitar. She is already a wonderful acoustic guitar player and is now excited to get an electric guitar and learn that. She’s been practicing on a guitar that Gabe (Toria’s fiance) has lent her. I got her an amp for solstice and she is hoping to be able to buy the guitar by her (18th!) birthday at the end of the month. She is not just a great guitar player but also a great song writer. With her love of music and the connection she already has with small bands in around the country, I’m pretty sure her future will be in music in one way or another. 3. And she’s still busy with photography… Speaking of Rhia’s music connections, she took some photos for a small Mankato area band last month and she’s done some concert photography for some bands at Minneapolis and Sioux Falls concerts. I’m pretty sure photography will be in her future, too. Here’s her photography page on Facebook. she’d be thrilled if you liked it! 4. Alex has been enjoying the snow. It’s been bitterly cold, but any time it’s above zero he’s pretty happy to be making snow forts, building snow zombies and so on. 5. Fiona learned to play happy birthday on the lap harp. She and Alex also learned a bunch of other songs. 6. Alex has been learning to cook more meals and treats. His latest accomplishments are 2 minute microwave GF bread (which he made about 30 batches for family in the last month) and scrambled eggs. He also helps me cook a lot, so he’s become a great sous chef for things like taquitos. 7. Victoria and Gabe have been in their house for a month. They got their first utility bill today! Luckily the house is so small and they’re so frugal that it was a fraction of what ours is. They come over for dinner just about every night but they are settling in well and finally have reliable heat (a big thing when it’s been 20 below zero!). 8. We’ve been doing lots of visits to the Washington Pavilion science and art center. I took advantage of a holiday special and renewed our membership, which Alex told me he really missed. We try to visit every time we’re in Sioux Falls, which is often since Rhia’s BF lives there and it’s also where I do my bulk grocery shopping. They have great science presentations and Alex and Fiona got to take part in one about physics. 10. We’ve been doing tons of learning with Cuisenaire Rods and other hands-on math tools. Alex and I even tried doing long division with Cuisenaire Roads, which is really tricky to wrap your brain around! 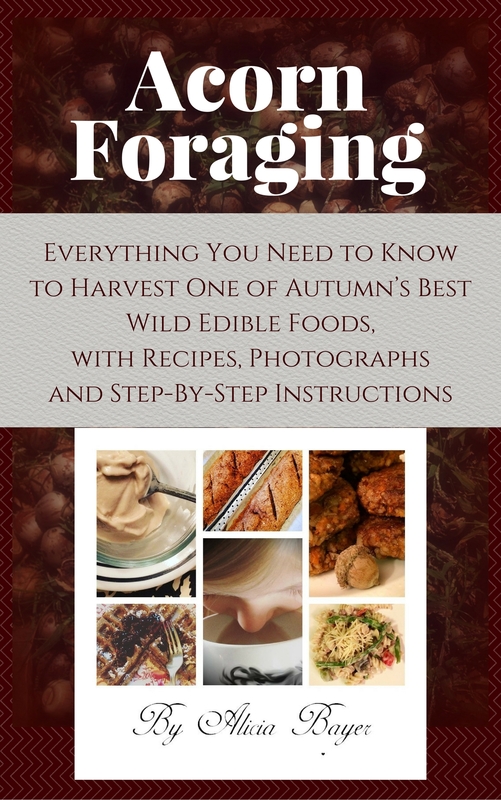 I also published another book (affiliate link: Acorn Foraging: Everything You Need to Know to Harvest One of Autumn’s Best Wild Edible Foods, with Recipes, Photographs and Step-By-Step Instructions) and we’ve been reading lots of books, playing with friends, going to movies (since Daryl and Rhia work for a local non-profit movie theater, our family can go at any hour and put on whatever movies we like, which makes for some pretty fun late-night excursions! ), playing music, watching shows and the usual mayhem. Now, I’ve promised a little girl that we’d do crafts so I should sign off. I hope everything is wonderful in your corner of the world! This entry was posted in Alex, Anna, art, cooking/home ec, Daily log, Fiona, history, Jack, math, Photography, science, Victoria, writing by Alicia. Bookmark the permalink.